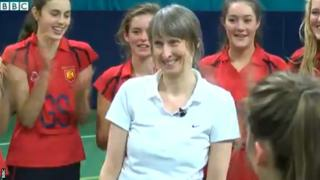 Liz Wisniewski has been involved in netball for over thirty years and over the last 20 she's had a part in almost every area of the sport. From umpire, to time-keeper, to scorer; she's set up two leagues in Tyneside and overlooks the operation of 90 netball teams in the area. When asked how she felt, she mentioned it was a "massive honour" and very "humbling."